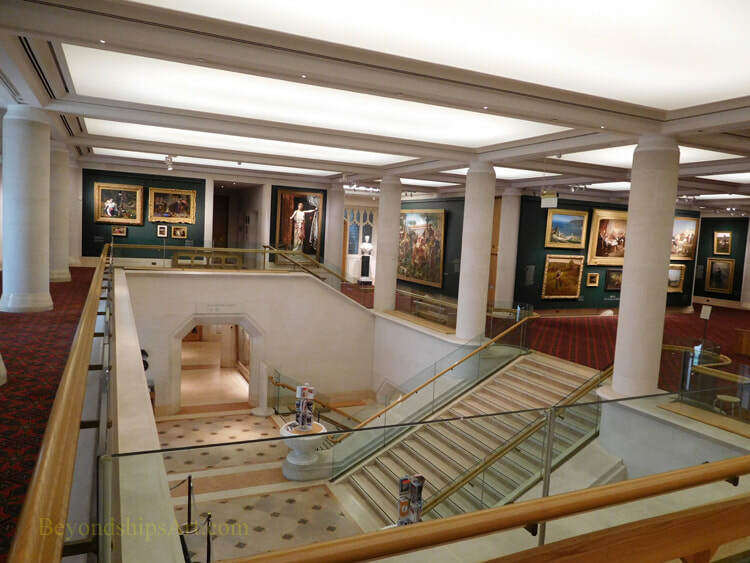 The Guildhall Art Gallery showcases the art collection of the City of London Corporation. It is particularly strong in Victorian era paintings and works relating to London. The building also covers the ruins of an ancient Roman amphitheater, which is open to the public. 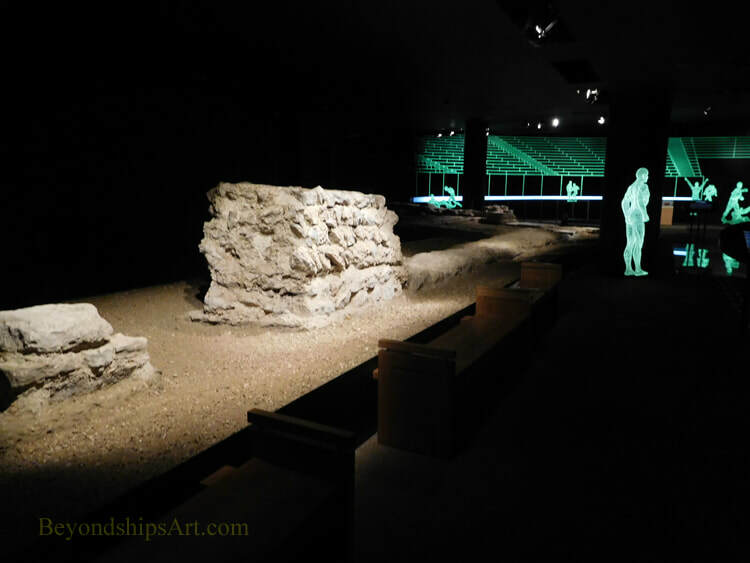 London was founded by the Romans around 40 A.D. Since then the metropolis that we know as London has expanded greatly. However, the area of the original settlement is still known as the City of London. The local authority for this section of the metropolis is the City of London Corporation. 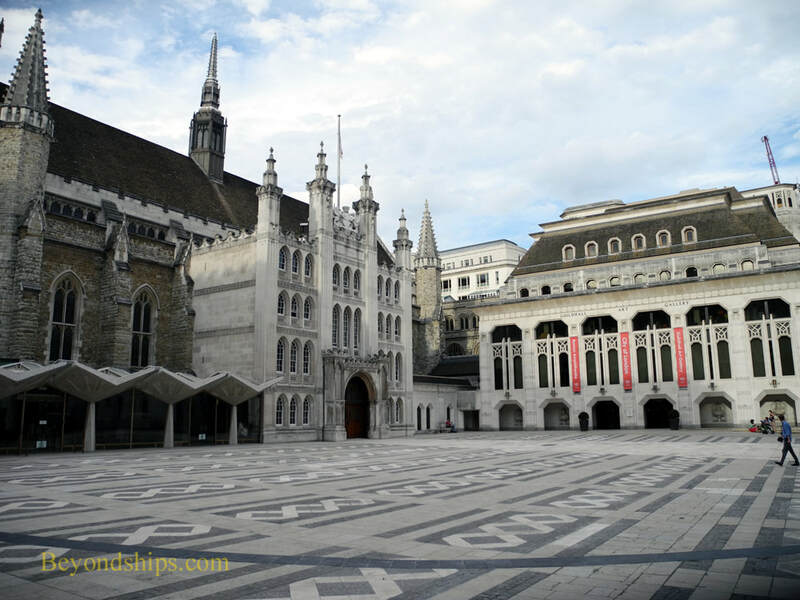 The Guildhall is the administrative center for the City of London is the Guildhall. It was built between 1411 and 1440 at a time when the merchants and bankers who controlled the City were particularly powerful. Although the building has undergone the Great Fire of London and the Blitz, it is still an impressive building. By 1670, the Corporation had started to accumulate an art collection. It has now grown to some 4,000 works. 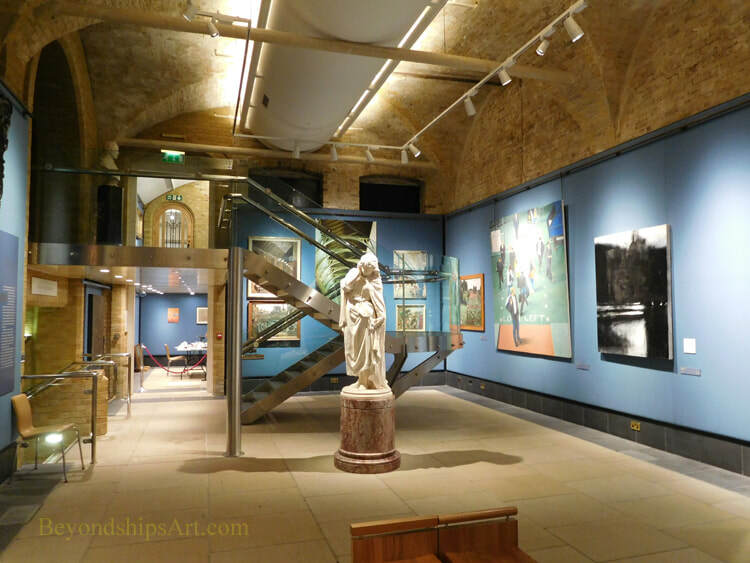 In 1885, an art gallery was established at the Guildhall to showcase works from the City of London's collection. Unfortunately, the building along with some 200 works of art were destroyed in the bombing during World War II. (Most of the works had been moved to safety at another location). By 1985, the City was ready to build a new building to display its art collection. However, in the process of construction, it was discovered the ruins of an ancient Roman amphitheater lay below ground. It was decided to incorporate the amphitheater into the new building. The gallery portion of the new museum opened in 1999 and the amphitheater in 2002. The Guildhall Art Gallery was designed by Robert Orbit Scott. It is a stone building with a design that is reminiscent of Gothic architecture. As a result, the new building harmonizes with the ancient Guildhall, which is adjacent to the art gallery. The collection is very strong in Victorian Art, i.e., art done during the reign of Queen Victoria 1837-1901. It includes PreRaphaeliteism, Orientalism and Classicism. It was a time when the art world was changing. In France, the Impressionists were challenging the establishment of the Salon. In Britain, artists were turning from history painting to scenes from everyday life and to romantic visions. While Impressionism has found more lasting appeal, the British works are nonetheless still interesting for what they reveal about the psyche of their times as well as for their beauty. The gallery also devotes space to works that relate to London. These include works showing how London looked in the past as well as scenes of life in London. Below the art gallery is the amphitheater. It was begun shortly after the Romans arrived in England but was considerably enhanced in the 2nd century. Londoners were entertained here by gladiators, animal fights, and public executions. Some religious ceremonies were also performed here. The ruins are shown in situ with signage and modern technology used to tell their story.